The employer has a duty to provide its employees with the basic conditions for the safe performance of tasks entrusted to the workplace. A hall can be the workplace for many people. In the U.K., the big companies have warehouses, which employ a large number of people. 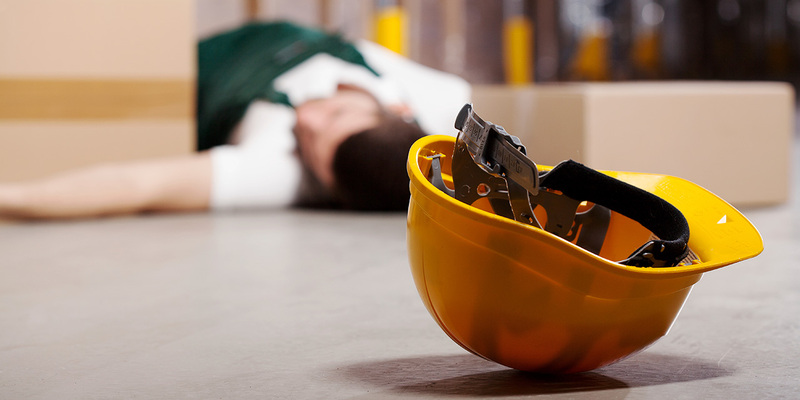 Often, a lot of factors contribute to accidents that involve very serious health consequences for the workers. If not satisfied with certain health and safety standards under the responsibility of the owner, a victim has the fundamental right to sue for damages. Our company, Insito Claims, has been dealing with such cases, quickly and efficiently helping you through the most difficult issues. Just report by phone 0208 940 0069 or using the form and we will get back to you. In the factory hall there are plenty of situations in which we are vulnerable, e.g. : when an object falls on us, if another employee enters forklift truck, if we fall from a ladder, slipping on the floor, vertebrae or tendon injuries caused by lifting heavy materials. These situations are usually compounded by stress, rush, fatigue due to shift work. We must also be aware that it is the employers obligation to provide the basic conditions for the safe performance of tasks entrusted to us at a workstation. So we have to have a helmet, goggles, gloves, clothing, and receive appropriate training on the job and safety rules. If the company does not comply with these rules in case of an accident, we have every right to apply for compensation. Every trauma disables us from our daily earnings, our plans, incurs expenses, pain and suffering, long-term treatment, and may even have consequences for the rest of his life. There are many people in the UK who also undergo such accidents at the warehouse, what can they do in this situation? First of all, collect as much information about what happened, witness testimony, documents from visiting medical bills for medical services, for rehabilitation equipment, sick leave, it’s all extremely useful in court. It is for us an essential support and it helps employees get the highest compensation in the shortest possible time. The fight with the insurance company is a big challenge, which is why you should contact Insito Claims, because without the risk of additional costs we will fairly and quickly ensure your chances. We have dealt with these types of cases on many occasions, so we know exactly what to do.